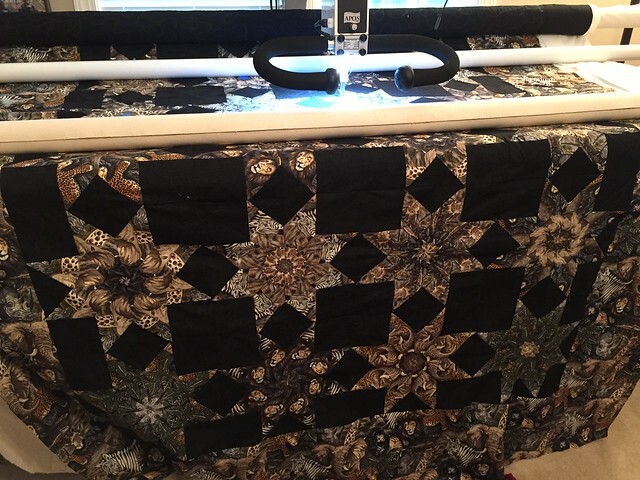 Before I had to take my machine down, I was able to do actually do some longarm quilting on it! 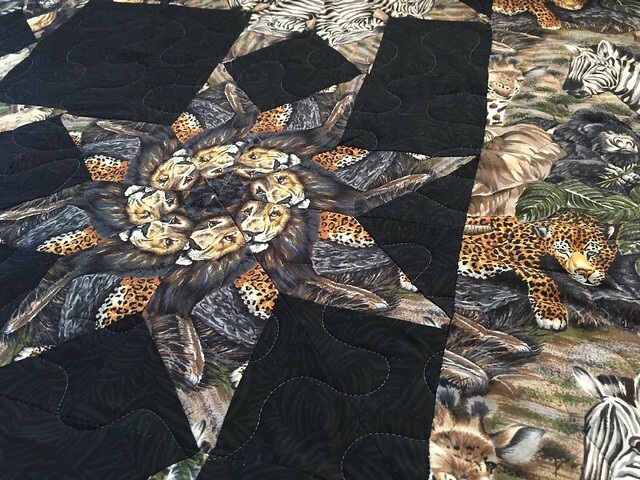 This first quilt is a stack and whack quilt that a local lady made. My daughter thought it was the coolest thing every because it had lions and tigers and all sorts of African safari animals. She is obsessed with Katy Perry’s “Roar”, so animals that roar are the best. 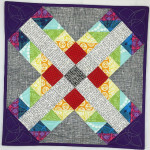 She wanted an allover meander, and it suited what she was looking for. 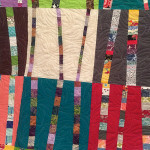 The next quilt was a string quilt. 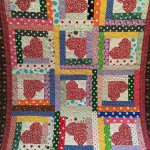 I quilted a baptist fan panto on it. 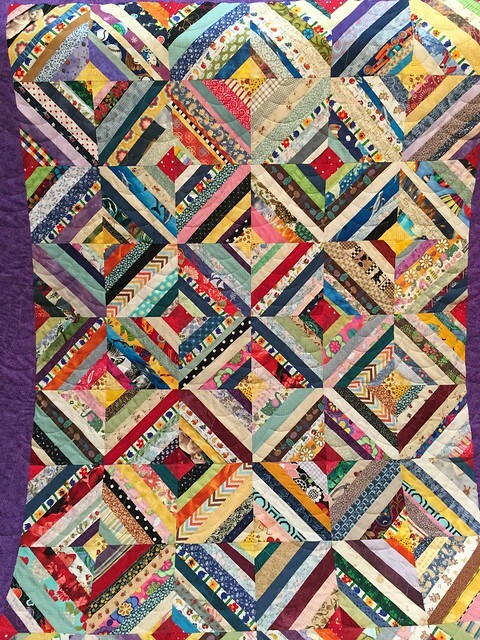 The maker of this quilt is donating it, and I hope that the future owner appreciates all the hard work that went into this quilt. It’s really lovely! 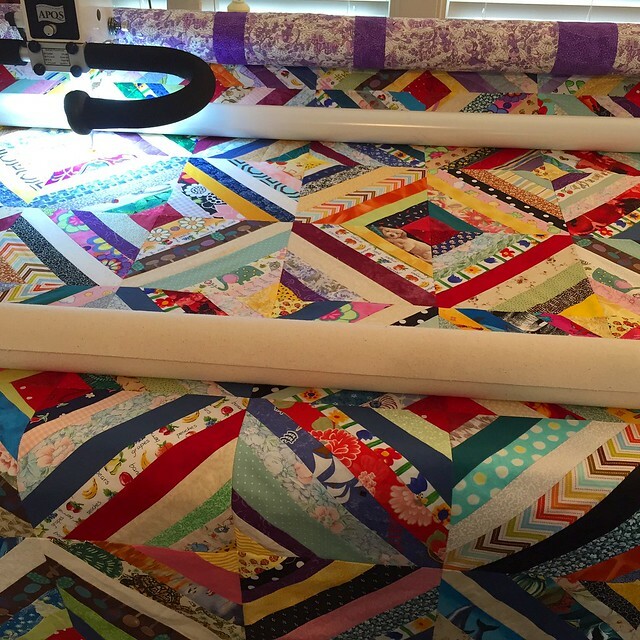 Thanks for trusting me to quilt for you!